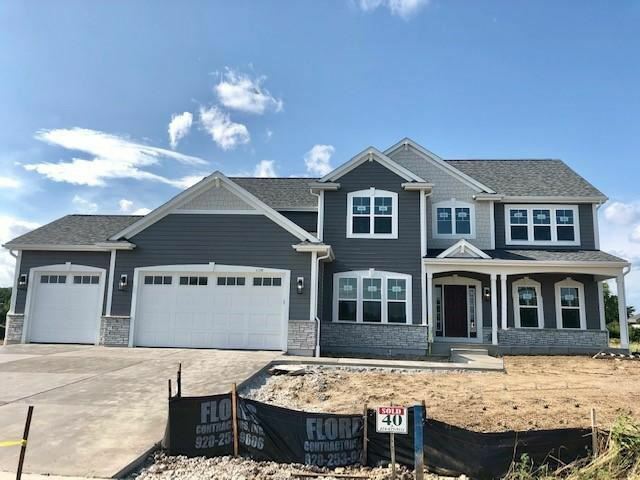 Your beautiful new home is waiting for you in the desirable community of Glen Crossing in Oak Creek! Over 3,000 sqft awaits you in this gorgeous 2-story home by Halen Homes! The open foyer greets you with a 2-story staircase w/ wood railing, custom light fixture, and plenty of natural light. The kitchen features maple cabinetry and attached formal dining room with beautiful white wainscoting detail! The great room is generous in size while providing a warm feel with a stone fireplace and window seating! An extra den/office and living room complete the first floor. The upper floor features a master suite w/ attached bathroom w/ tile shower, soaking tub, separate vanities and large closet. Three more bedrooms and huge bathroom w/ two sinks along with laundry room finish the upper floor. This payment is based on a 30-year loan at a fixed rate of 4.12 % with a down payment of $51,490. Actual lender interest rates and loan programs may vary.